“Our culture is riddled with a poisonous spirit of entitlement. We always think we deserve more. We’re disappointed with our family, neighbors, church, the waitress, the sales clerk, and the department of motor vehicles. Ultimately we’re disappointed with God. He hasn’t given us everything we want. What madness! If only we could see our situation clearly-even for a moment. We deserved expulsion; He gives us a diploma. We deserved the electric chair; He gives us a parade. 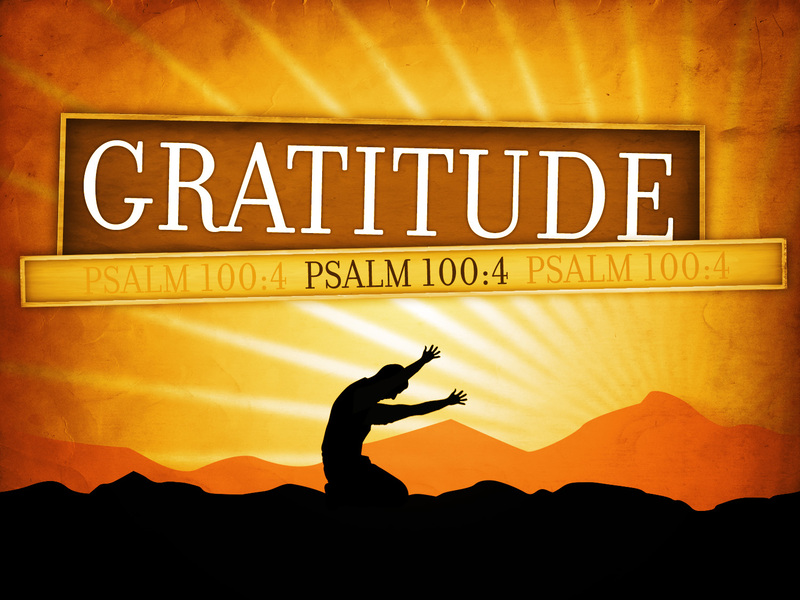 As we approach the Thanksgiving season in just over four weeks, I thought it would be appropriate to focus my next series of blog posts upon the profoundly important biblical concept of “gratitude.” Randy Alcorn shared some excellent thoughts on this subject a few weeks ago. Years ago, I determined that I wanted to write a book on theimportance of gratitude in the Christian life. But not long ago I readNancy Leigh DeMoss’s book Choosing Gratitude: Your Journey to Joy and realized I no longer needed to! In fact, the two greatest books I’ve ever read on being thankful I read this year within a few months of each other, the other one being Ann Voskamp’s One Thousand Gifts: A Dare to Live Fully Right Where You Are. My list of 1,000 gifts includes Ann Voskamp and Nancy Leigh DeMoss for prompting us to cultivate a deeper and richer thankfulness. Nancy’s Choosing Gratitude speaks powerfully to one of our most important issues as individuals, families, and churches. Nancy is biblical, honest, challenging, and practical. I enthusiastically recommend this book. Thankfulness to God for His common grace and His saving grace and His special graces to us each day is something that should fill our hearts, and show our children and grandchildren and co-workers and neighbors the joy of Christ. Given what Jesus has done for us, our lives should overflow with gratitude. Sadly, too often they don’t. Anything less than overwhelming gratitudeshould be unthinkable. He owes us nothing.We owe Him everything. When you realize you deserve nothing better than hell, it puts a “bad day” in perspective, doesn’t it? Christians in Sudan – who’ve suffered unspeakably for their faith-are deeply grateful for God’s daily blessings. But us? We whine and pout. Lord, help us to be thankful people. Help us to be grateful for ordinary days. And during our bad days, remind us of what you are preparing for us-endless days filled with goodness and abundance, where we will look back with amazed delight at your deliverance and look forward with anticipation of the endless wonders yet to come.